If the thought of yet another char siu bao fails to excite, consider its Macanese cousin, the jyu paa bao. 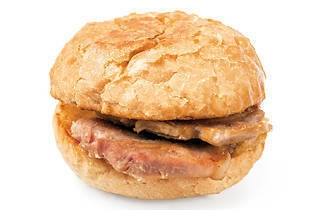 Macau-style fried pork chop buns may be a little less sophisticated but they’re just as delicious. 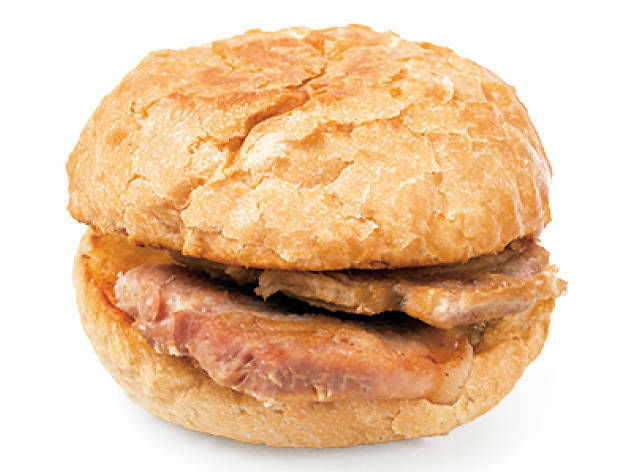 So whether you're looking for a good bite in Macau or Hong Kong we've found just the pork chop bun for you. This neighbourhood mainstay hidden in the middle of Causeway Bay serves up a wide selection of buns, from hamburgers and fish fillet burgers to its renowned pork chop bun. This old-fashioned bakery deep-fries its pork chops to crispy perfection, before slathering them in creamy mayonnaise and tomato puree. Leave all health concerns at the door here. Locals swear by this Hong Kong-style joint on Hollywood Road that offers a wide selection of everything pork chop. Well-marinated with a subtle hint of sweetness, For Kee’s chops are said by diners to taste just the way it does the other side of the Pearl River Delta. This venerable cha chaan teng has been a staple of the Graham Street market for years, and is one of the most well known pork chop bun hotspots in the city. Its signature chop is marinated and packed full of flavour, and the meat retains its tenderness within the crispy, fried exterior. A must visit for jyu paa bao enthusiasts. For a bun with Macanese origins, there’s no better place to go than Macau Restaurant, a place that serves delicacies originating from our sister SAR. Enjoy a splendidly golden pork chop bun accompanied by other Macanese dishes, such as Portuguese egg tarts and roast chicken. Yee Shun Milk Company’s repertoire stretches beyond just desserts. The small chain cooks up a mean pork chop sandwiched between ample bread rolls with a thick, crusty exterior – the best way to indulge your carb cravings. While you’re at it, sample some of Yee Shun’s famed milk puddings for a sweet ending after your savoury main.